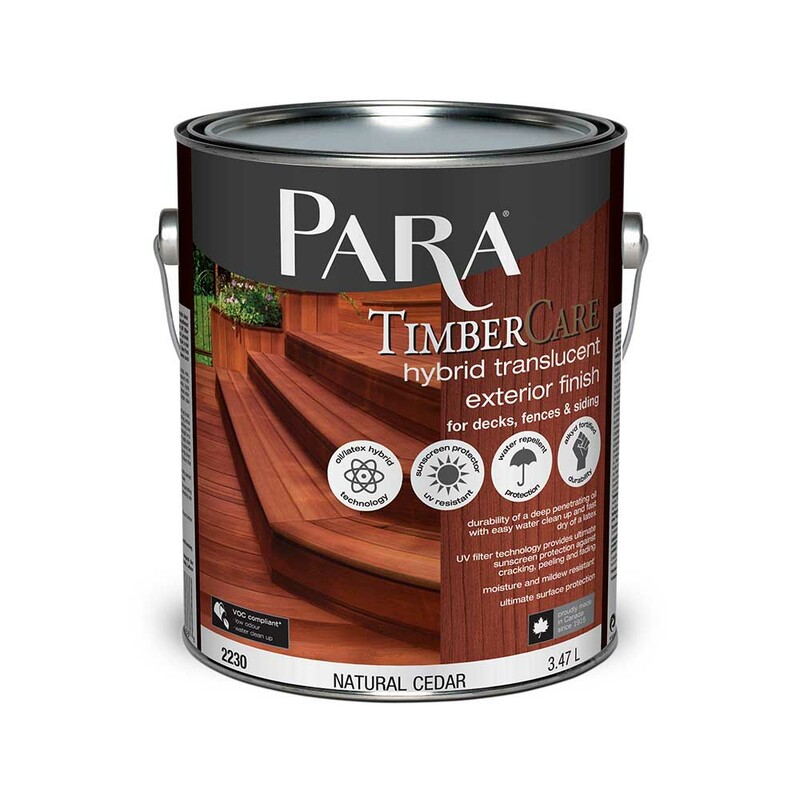 Timbercare Exterior Hybrid Translucent Coating with its alkyd fortified acrylic formula is a top quality products made of an alkyd and acrylic latex blend. This Hybrid blend offering the superior penetration and adhesion properties of an oil and the long lasting durability of a 100% acrylic. Contains UV filter technology and built in water repellency for maximum wood protection against weather exposure, cracking, blistering, peeling. Protects and beautifies exterior new wood, weathered wood or stained wood surfaces and to help prevent surface mildew. Recommended for wood siding, fences, trim, decks and outside furniture. Can be used as a 1, 2 or 3-coat system depending on the surface to be treated: A 1 coat application on deck below 2 feet high or near a water source like swimming pools. (Please note: 1 coat system will have to be recoated every 8 to 16 months), 2-coat system for well-ventilated decks over 2 feet high and 2 or 3-coat system for vertical log surfaces. **Additional Data: Brushing is preferred to work stain into the surface and to achieve a more uniform appearance and distribution. Caution: To avoid lap marks, keep a “wet” edge by stopping only at natural breaks. Not recommended over gloss or previously painted surfaces. May not be compatible with other freshly stained surfaces containing wax. For optimum adhesion and application performance, ensure that the temperature and relative humidity are as stated above at time of application and four hours after.